We are Worthware Systems International, developers of CellSell® the multi award winning ERP platform designed specifically for retailers of cellular phones, wireless devices, and telecommunications products and services. CellSell® Cellular Retail ERP Systems, seamlessly integrate our patented POS activation data processing technology, with Carrier specific business rules, CRM and financial accounting, to simplify all aspects of wireless retail. If you are currently running your business with standalone pos software for cell phone stores and a general purpose accounting application, contact us, let us show you how we can help. 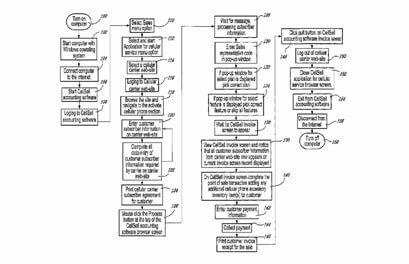 CellSell® is a registered trademark of Worthware Systems International Inc. CellSell® brand software, is designed specifically for retailers of cellular phones, wireless devices, and telecommunications products and services, and is available throughout North America. CellSell® Cellular Retail ERP Systems integrate Patented POS activation data processing technology, with Carrier business rules and CRM, to instantly produce accurate, Carrier subsidized suggested retail phone pricing, commission, real-time inventory and airtight, drill down, source transaction level financial accounting, that delivers unsurpassed auditability, efficiency, time and cost savings. CellSell® Retail ERP Systems, support single corporate entities with single or multiple retail locations, or multiple distributed corporate entities with multiple retail locations and once fully implemented, integrate, consolidate and coordinate all the resources, information and activities needed to perform, storefront-to-back-office wireless retailer specific daily business processes including, financial accounting, inventory management, inventory optimization, supply chain management, customer facing interactive retail, digital media in-store advertising, point-of-sale (POS), activation management, channel management, customer relationship management (CRM), sales force automation (SFA), e-mail and social media campaign marketing, commission management, human resources (HR), OLAP business intelligence (BI) reporting and real-time remote Android®, iOS® and Windows® tablet based mobile computing, without the need for separate or standalone systems. CellSell® Cellular Retail ERP Systems are supplied by Worthware Systems International Inc., under license in Canada and the United States to Wireless Retailers, Master Dealers, Agents and Carriers. 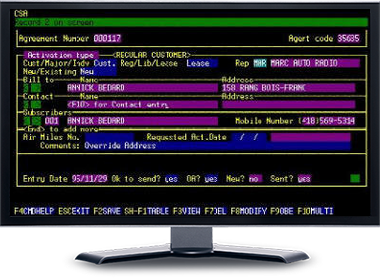 Originally introduced in 1991 as an on premises, single, unified, fully integrated Financial Accounting and POS business application for cellphone stores, the latest generation of CellSell® Cellular Retail ERP Systems are available via Private Cloud and Software as a Service (SaaS) Based Cloud licensing and delivery models and CellSell® is notably the most time-tested and proven, wireless retail industry ERP platform on the market. Take a trip with us through time and review the evolution of the CellSell® platform throughout the years on our history tabs below, visit us on Twitter, or simply click here to watch a short CellSell® Movie that quickly describes some of the key attributes of our current state-of-the-art platform technology. Worthware Systems International Developers of the Award-Winning CellSell® Retail ERP Platform Announces Completion of Global Payments Canada Payments Processing Software Certification. In 1991 CellSell® was the first accounting application designed specifically for cellular phone retailers introduced in Canada. 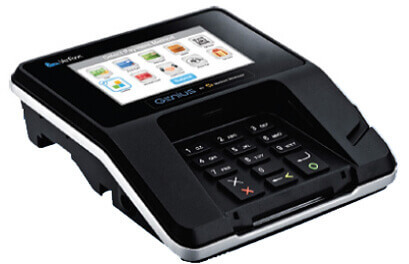 At the time its list of features included fully integrated general ledger, serialized inventory, applications for cellular service agreement data-entry printing and processing coupled with automatic point-of-sale invoice creation, residuals management, network and salesrep activation commission tracking and reconciliation. 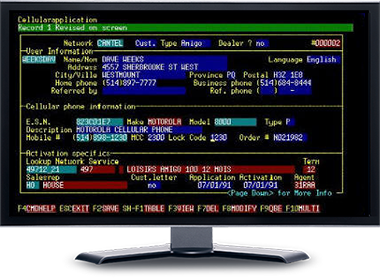 Pictured below the CellSell® cellular application interface as it appeared in 1991. In 1992 CellSell® was the first accounting application designed specifically for cellular phone retailers to incorporate short and long term rentals. At the time its list of features included automated electronic import of cellular carrier airtime usage, cellular airtime contract billing allocation with point of sale contract printing. Pictured below the CellSell® cellular airtime usage import interface as it appeared in 1992. In 1993 CellSell® was the first accounting application designed specifically for cellular phone retailers licensed to a leading Canadian cellular carrier for resale to its own dealer channel. This unprecedented license agreement with one of Canada’s leading carriers and largest public corporations greatly contributed to CellSell® earning its reputation as the acknowledged cellular industry standard. 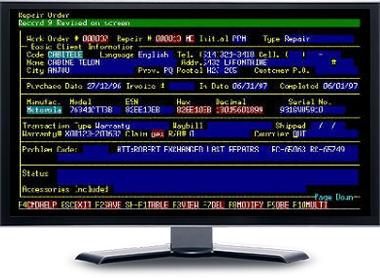 Pictured below the CellSell® point of sale invoice interface as it appeared in 1993. In 1994 CellSell® was the first accounting application designed specifically for cellular phone retailers formally endorsed by what was at that time Canada’s only truly national carrier. After careful research the carrier described CellSell® as the most comprehensive integrated software package available to meet the needs of its independent dealers. For CellSell® this unprecedented endorsement served to bolster even further its reputation as the cellular industry standard. 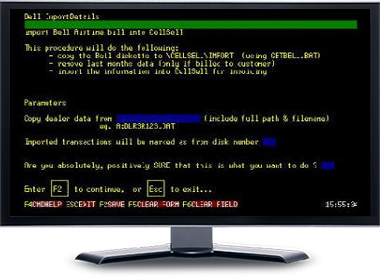 Pictured below the CellSell® activation history interface as it appeared in 1994. In 1995 CellSell® was the first accounting application designed specifically for cellular phone retailers to make Canadian wireless industry history when it was successfully utilized to electronically transmit the first ever automated electronic point of sale activation of a cellular phone. Under licensing agreements signed with a leading Canadian carrier the standard CellSell® cellular application interface was enhanced to support fully automated electronic dealer activation transmitting. This forever changed the customer acquisition process, improved customer service and reduced activation times. Pictured below the CellSell® point of sale electronic activation interface as it appeared in 1995. In 1996 CellSell® was the first accounting application designed specifically for cellular phone retailers to incorporate two-way electronic communication of activation information between the database located at the retail location and the carrier activation center. Under license with a leading Canadian carrier CellSell® was successfully implemented providing users with fully automated electronic dealer activation transmitting, on screen activation status feedback, mobile number downloading, and fully electronic network plan commission importing and reconciliation. Pictured below the CellSell® point of sale electronic activation interface as it appeared in 1996. In 1997 CellSell® was the first accounting application designed specifically for cellular phone retailers to incorporate a repair management module linked to real time inventory. Designed to meet the complex needs of level one service centers standard features included tracking of loaners, over the counter exchange of cellular phones from inventory, warranty service claims for handling, repairs, manufacturer warranty claim reimbursement tracking and reconciliation. Pictured below the CellSell® repair order interface as it appeared in 1997. 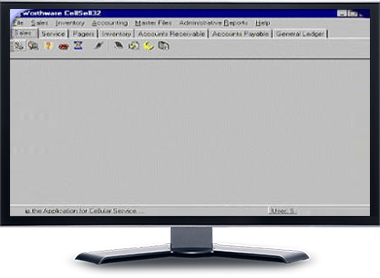 In 1998 CellSell® was replaced by an all new 32-bit Windows based fully Y2K compliant version. This new system architecture made CellSell® 32 the first GUI accounting application in Canada designed specifically for cellular phone retailers. The newly designed CellSell® 32 was significantly technologically advanced, easier to learn and more user friendly than its DOS based predecessor. To ensure market success the software was enhanced with all of the most popular features that had made CellSell® the #1 selling DOS based accounting software for cellular retailers in Canada. That year, “The Cellular Industry Standard™” became “The New Wireless Industry Standard™”. The new designation represented the fast evolving industry CellSell® 32 was in service to support and coincided with the introduction of a broadened feature set which included a pager reseller recurring billing system. Pictured below the 32-bit Windows based CellSell® 32 menu interface as it appeared in 1998. In 1999 a two-way radio order-entry and recurring billing system was incorporated into CellSell® 32 marking yet another Canadian wireless industry software first in accounting applications designed specifically for wholesalers and retailers of wireless products and services. 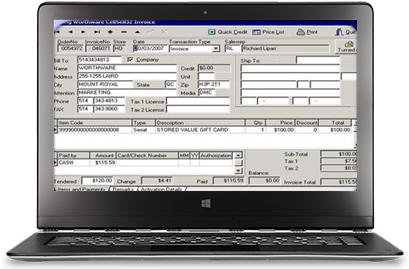 Unique system features included site and service contract tracking by serial number and unit swaps by active customer contract all tightly linked to the general ledger. 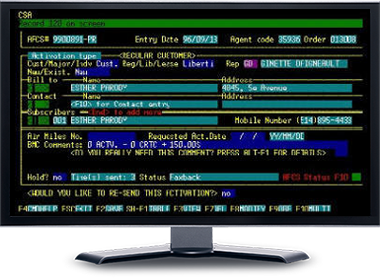 Pictured below the CellSell® 32 order-entry contract interface. In 2000 CellSell® 32 became the first business application designed specifically for cellular phone retailers and wholesalers of wireless products and services in North America to couple web based e-commerce with fully integrated accounting! This marked yet another in a long line of historic CellSell® 32 wireless industry firsts. As in all previous years since 1991 CellSell® 32 was first to market with innovative and leading wireless industry specific functionality. This time in the form of state-of-the-art B2B2C web based e-commerce enabling both retail consumers and dealer sub-agents to shop or fill orders on-line leaving them automatically ready for fulfillment within the easy to use CellSell® 32 accounting software. This completely eliminated the tedious double entry normally associated with the acquisition of customer orders over the Internet. 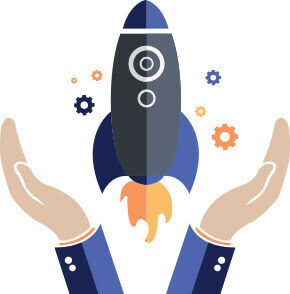 Additional application features included detailed customer order history, open order maintenance, auto web-site updating of unlimited network carriers and plans, retail and wholesale pricing, special offers, new products, and order status and messaging via the Internet. 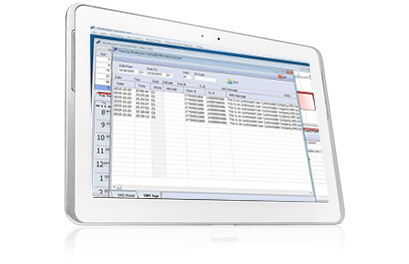 All of which was easily controlled from within the CellSell® 32 accounting software menus and screens. In 2002 CellSell® became the first accounting application exclusively for wireless retailers to introduce available integrated Wireless Application Protocol (WAP). 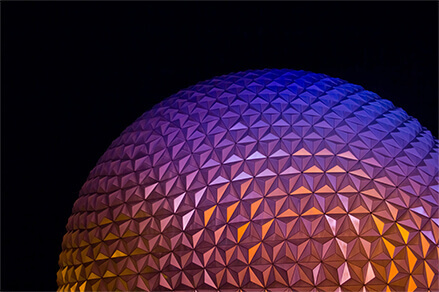 WAP is an open, global specification that empowers mobile users with wireless devices to easily access and interact with information and services instantly. 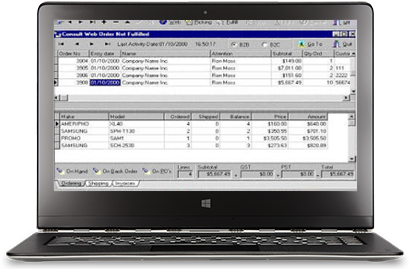 CellSell® accounting software enabled with available WAP leverages the Internet to deliver real-time relevant valuable confidential centralized corporate database content directly to devices using WAP-based microbrowsers. The introduction of WAP technology marks another unprecedented industry first for CellSell® accounting software demonstrating once again why CellSell® accounting software has earned its reputation as “The new wireless industry standard™”. In 2003 CellSell® further enhanced its’ position as the the market leader in enterprise wide accounting software for cellular retailers, with the introduction of all new proprietary PATENT PENDING technology, designed to completely eliminate double-entry of cellular carrier subscriber activation agreement data on-line at the point-of-sale. This unprecedented event marked yet another in a long line of industry leading first-to-market technology introductions spanning over a decade. In 2004 CellSell® enhanced its’ position as the market leader in enterprise wide accounting software for cellular retailers even further by redefining the process of supply chain management allowing users to eliminate double-entry of inventory purchase orders placed on cellular carrier e-commerce web-sites. This ground breaking technology never before seen or experienced by cellular retailers anywhere, eliminates another tedious business process and augments employee productivity to new levels. Already recognized as The new wireless industry standard™ by well researched industry professionals and retailers. This latest achievement marks yet another in a long line of industry leading first-to-market technology introductions spanning over a decade, available exclusively to CellSell® accounting systems users. In 2005 CellSell® accounting systems are first to introduce and to make available integrated OLAP (Online Analytical Processing) as the core engine designed to drive business intelligence and analytics functionality throughout the enterprise. 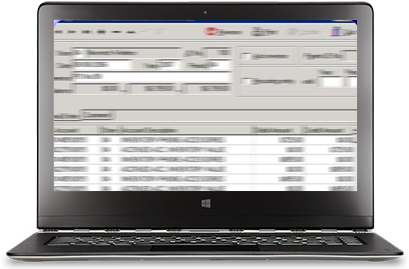 The addition of OLAP extends the capabilities of CellSell® accounting systems with an advanced analysis tool built on a multidimensional CellSell® accounting systems database to drive business decisions based upon real-time performance monitoring and forward looking trends. 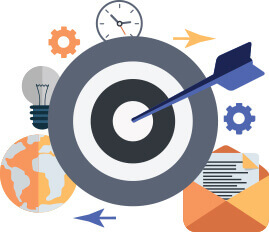 Capable of graphically summarizing years worth of data in seconds decision makers of the organizations using CellSell® accounting systems running the CellSell® OLAP Service can measure performance against planned targets for stores and sales people and help turn corporate goals into reality. The introduction of OLAP once again enhances CellSell® accounting systems position as a true market leader and innovator and marks this it’s 15th anniversary year with yet another industry leading first to market technology introduction. 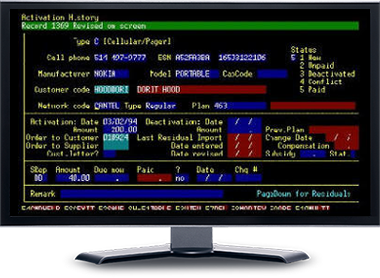 Pictured below CellSell® accounting systems equipped with OLAP screen from 2005. 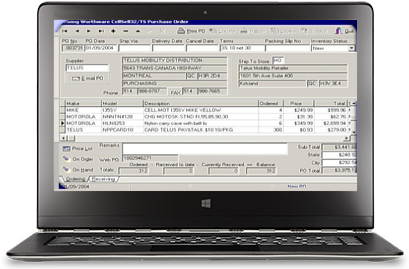 In 2006 CellSell® accounting systems are first to incorporate GRNI (goods received not invoiced) functionality exclusively designed for the wireless industry. 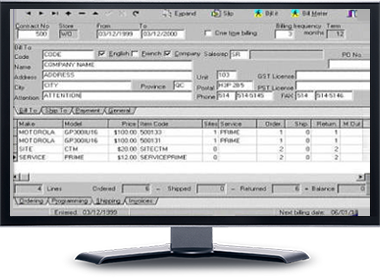 This advanced GRNI feature set was designed to provide users with an accurate unalterable audit trial of automated inventory accruals and prevent common problems associated with the procure–to-pay process, which if not identified, could quickly trickle down to affect an organizations bottom line. The introduction of integrated GRNI marked yet another in a long line of industry leading a first-of-its-kind technology innovations credited to CellSell® accounting systems. Pictured below CellSell® accounting systems equipped with GRNI from 2006. 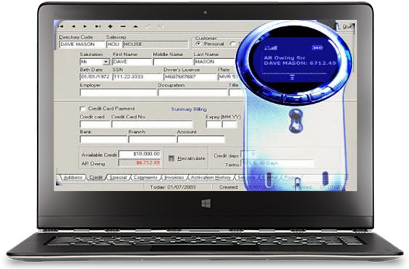 In 2007 CellSell® accounting systems feature-set is extended further than ever before with the introduction of Stored Value Gift Card POS Technology with unprecedented capabilities, features and functionality. A first-of-its-kind integration never before seen in the wireless/cellular-retail specific software industry. The new Stored Value Gift Card Sales module integrates seamlessly with CellSell® accounting systems POS, Inventory an General Ledger, to measurably increase ROI. 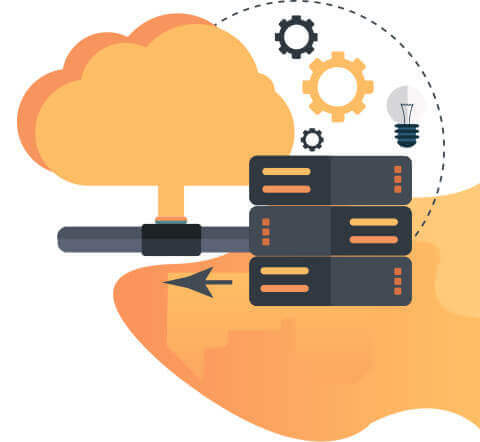 Other benefits of the technology include, no per transaction electronic processing fees, no requirements for special third-party integration, connectivity or standalone terminals and improved profitability. The addition of integrated Stored Value Gift Card Sales functionality in 2007 is another in a long line of first-of-its-kind technology innovations spanning our 17 year history, another example of our continued market leadership and applications software superiority. Further irrefutable evidence of our consistent, relentless, ongoing commitment to delivering unsurpassed effective tools, which create and sustain new revenue opportunities, increase profits and produce a rapid and quantifiable return on investment for CellSell® accounting systems technology platform licensees which enable, assist and support the growth of their businesses. Pictured below CellSell® accounting systems equipped enabled with the Stored Value Gift Card Sales module in 2007. 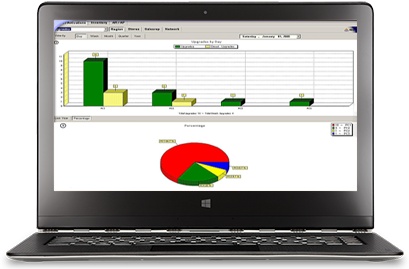 In 2008 CellSell® accounting systems introduces a new integrated people counting data retrieval and reporting software. This marks yet another in a long line of first-to-market technology introductions for cellular retailers. The new integrated people counting data retrieval and reporting module further extends the capabilities of CellSell® accounting systems existing business sales metrics reporting. This technology provides CellSell® Accounting Systems users with fully automated electronic data retrieval and subsequent detailed analysis of their pedestrian traffic to compare against their sales. Analytics include but are not limited to sales conversion rates based on hour, day, and category of merchandise sold. By comparing the number of visitors per cellular retail location and highlighting any problem locations, management teams can review their sales-to-traffic conversion rates, and always ensure that the right staffing is in place at the right location. Additionally this data can be used to measure consumer response to ongoing direct marketing promotions launched via CellSell Accounting Systems CRM. The introduction of integrated people counting data retrieval and reporting technology further enhances the CellSell® Accounting Systems brand and it’s continued leadership position in the cellular retail specific software market place and is intended to furnish CellSell® accounting systems users with another valuable business tool that can be used to improve business processes and support an even greater ROI. 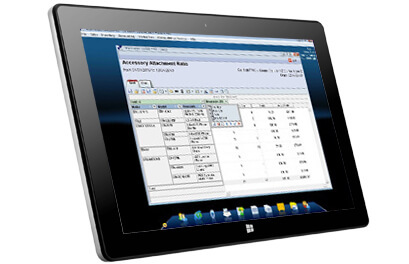 In 2010 CellSell® accounting systems are the first and only integrated accounting and cellular retail ERP systems to include built-in OLAP Decision Cubes Reporting. Unlike third-party add-on business intelligence tools that require time consuming and often laborious data staging and data replication, CellSell® OLAP Decision Cubes are fully integrated and enable users to analyze corporate data and create their own customized versions of re-usable reports and graphs easily and instantly in real-time in a variety of formats including HTML, Excel or XML. The introduction of built-in OLAP Decision Cubes Reporting with all CellSell® integrated accounting and cellular retail ERP software marked yet another in a long line of industry leading first-of-its-kind technology innovations that year over year continue to be synonymous with the CellSell® accounting systems brand. 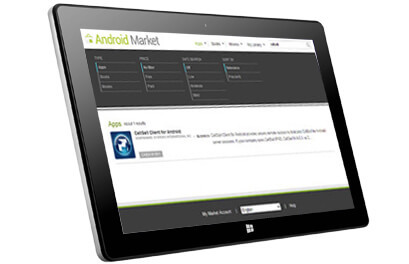 In 2011 CellSell® client app for Android™ delivers first-ever combined mobile POS and cellular retail ERP application to Android-powered devices. Introduced on the Android™ Market, the newly minted CellSell® app for Android™ is a device based thin-client that uses the mobile internet to connect users to dedicated CellSell® for Android™ server sessions that are fully optimized for low bandwidth connectivity and provide authorized users with the full interface richness, personalization and specialized functionality of CellSell®, North America’s leading cellular retail ERP platform enabling sales associates to finally break free of being tethered to a POS terminal in order to execute a POS transactions and use Tablets instead. In addition CellSell® Client for AndroidT delivers the full promise of the mobile internet on 3G/4G networks allowing users to connect from any Android-powered device irrespective of screen resolution including Smartphones and hold an entire CellSell® permissions based Retail ERP system in the palms of their hands. In 2012 CellSell becomes the first Retail ERP platform purpose built for retailers of cellular phones to offer support for iPad. Introduced in February 2012 the new iCellSell app available on the Apple® App Store allows CellSell software licensees to remotely connect to their own dedicated CellSell application servers and to login to and run their CellSell systems remotely using their iOS devices. 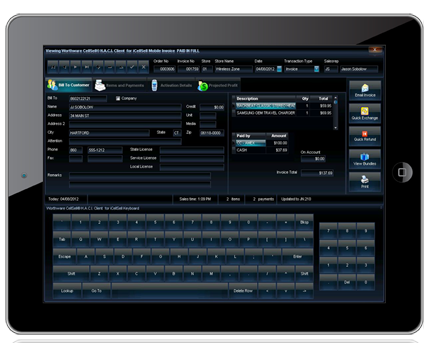 The iCellSell App offers iOS device users a unique reimagined CellSell POS touch screen interface optimized for iPad and provides additional peace of mind of knowing that their CellSell system and their data resides only on their dedicated remote CellSell application servers and not on their iOS devices. In 2013 CellSell® becomes the first Retail ERP to offer industry-first POS payment processing technology for wireless retailers. The new CellSell® integration with the Genius® Customer Engagement Platform enables CellSell® licensees the unique opportunity to capitalize on the new opportunities presented by mobile payments and integrated loyalty and commerce by seamlessly enabling the acceptance of any payment type running CellSell® POS, including traditional credit/debit, near field communication (NFC), QR, EMV along with any and all payment and commerce applications including but not limited to, ISIS, LevelUp, gift, loyalty and others, providing wireless retailers running an integrated CellSell® Retail ERP system with ultimate flexibility to activate the payment solutions that best support their business needs. 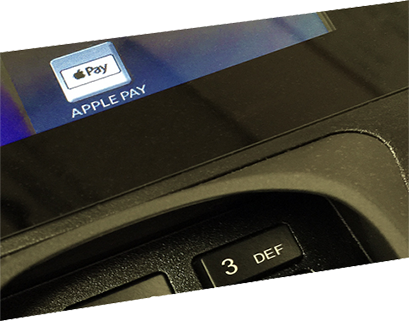 In 2014 CellSell® is the first Retail ERP platform that offers integrated support for Apple Pay™ POS payment processing for wireless retailers. Having Apple Pay™ integrated as a POS payment processing option, provides CellSell® licensees with a competitive advantage in the market place and allows them to serve their customers better and to capitalize on the latest trend in mobile payments for the newest generation of tech-savvy wireless shoppers. In 2015 CellSell® is the first Cellular Retail ERP platform to offer support for integrated POS, Accounts Receivable and CRM database driven SMS. CellSell® makes texting customers easy and cost-effective, because there is no longer a need to export data and upload it to third-party software products in order to communicate with customers via SMS. Statistics show that Text open rates are 95% compared to 14-28% for e-mail and CellSell® SMS support helps wireless retailers ensure that their messages are being seen by those customers that want to see them. In 2016 Patent CA 2515486 is issued by the Canadian Intellectual Property Office covering the core features and functionality built into the CellSell® Retail ERP Platform. The field of the invention relates to point-of-sale and accounting systems. More specifically, the Patent relates to customer subscriber information keyed in on wireless carrier on-line activation websites and used by cellular retail stores, the registering of subscribers for cellular phone service with a wireless carrier on-line activation sites, and the extracting of the subscriber identification data, according to a data extraction routine specific to the wireless carrier on-line activation site, and importing the extracted subscriber identification data into a retailer database and using this imported subscriber identification data in and by the retailer management system. 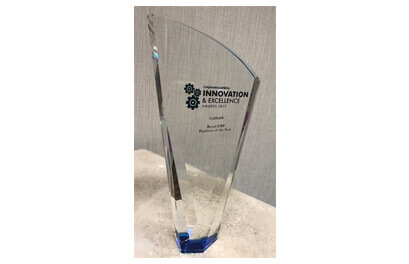 In 2017 CellSell® is named Retail ERP Platform of the Year at the 2017 Corporate LiveWire Innovation & Excellence Awards. CellSell® is a registered trademark of Worthware Systems International Inc. Copyright© 2018 | All Rights Reserved.